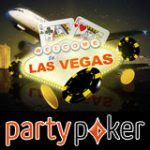 2014 FIBA Spain prize packages can be won on PartyPoker, the Dream Seat Series Package includes: travel, accommodation, cash and two tickets to the 2014 FIBA Semi-finals and Final match in Spain. 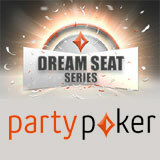 The Spain 2014 Dream Seat Series Grand Final takes place at PartyPoker on the 17th August, the winner of the tournament will get a prize package for two persons. 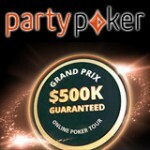 New players get a 100% first deposit bonus up to $500 plus free tournament tickets to the weekly final of the PartyPoker Dream Seat Series. The 2014 FIBA Basketball World Cup takes place between the 30 August - 14 September with 24 teams competing in 6 cities in Spain. 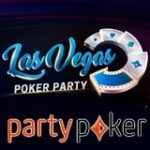 PartyPoker are offering a great promotion for basketball fans to win a trip to watch the 2014 FIBA Basketball World Cup: semi-final, 3rd/4th place game and final. 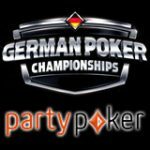 New Player signing up and making their first deposit get tournament tickets to the Spain 2014 DSS Qualifier on PartyPoker. 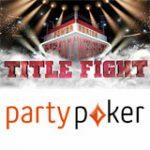 Players that deposit at least $25 will qualify for the tournament ticket offer. Get two tournament tickets to the daily Spain 2014 DSS Qualifier. 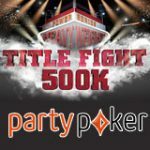 Players who have already deposit at PartyPoker receive three free tournament tickets each month based on their PartyPoker loyalty level, tournament tickets are issued within 72 hours of the start of a new month. Prizes: top 20 get Spain 2014 DSS Qualifier tournament tickets. Prizes: top 50 win Spain 2014 DSS Weekly Final tournament tickets. Prizes: top 50 qualify for the Spain 2014 DSS Grand Final. Prizes: Dream Seat Series prize package to the 2014 FIBA Basketball World Cup. Transportation from hotel to airport and matches. Two tickets for Semi Finals, 3rd/4th Place game and Final. $1,000 for travel and spending. The prize package winner must be able to travel to Spain between 9 – 15th September 2014 and acquire any documentation needed to enter Spain for the 2014 FIBA Basketball World Cup.